The previous owners must have liked what was on the television either. The roof is collapsing around it and decades of bird poop are the only things showing now. De belles nuances de bleu. Un beau site URBEX visiblement. 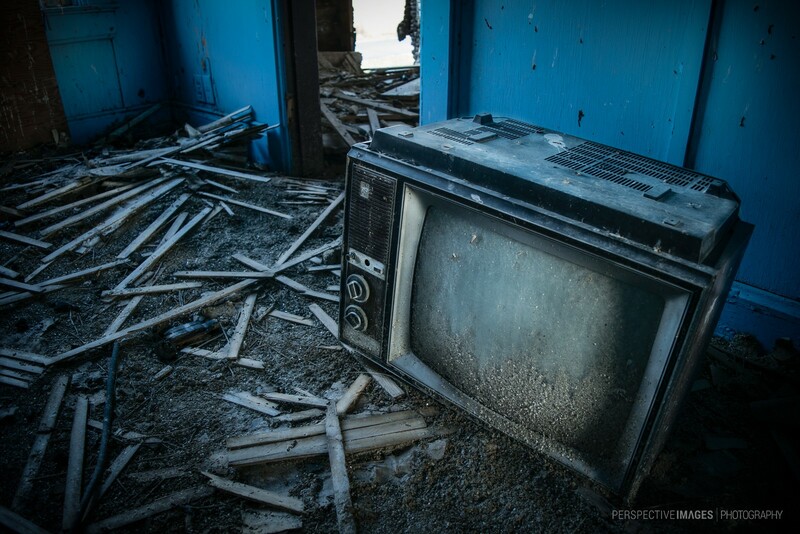 Wonder what the last program was that they watched on this old tv.